First off, I have moved Book Review Tuesday for this week to tomorrow, as I have an announcement today that I am so excited about!! I managed to get my deadline in this month for ALYoF. This is important, as I finished my first blocks for my first Spoonflower class, I am teaching. Today, the class “Modern Quilt Blocks with Michelle Wilkie” was announced. Can you believe it, the class is free for those that register!! Here are the first 3 blocks for class 1 of the Sampler Quilt. 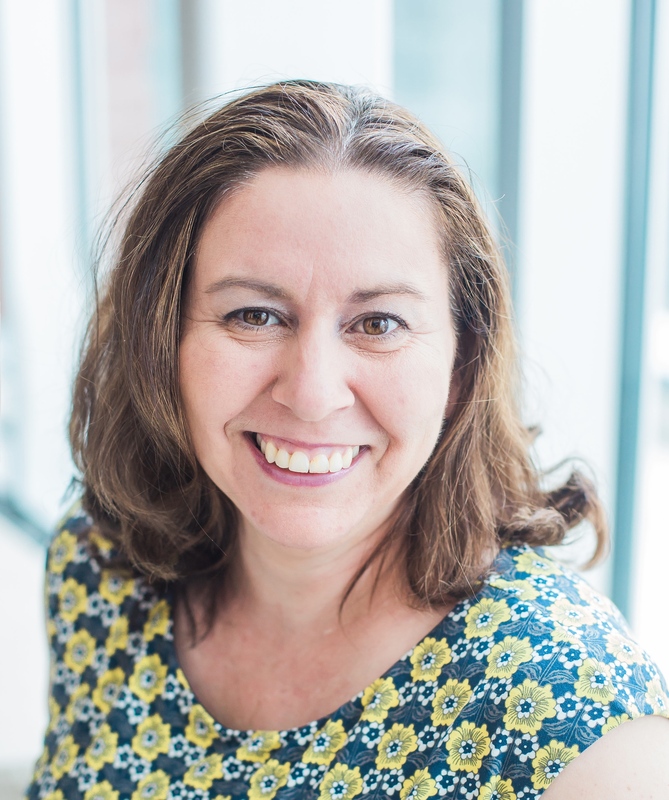 So, if you are in North Carolina and can come to Spoonflower, May 18th, you can register for the class here or from Spoonflower’s Greenhouse Facebook page. For those that are not close by a tutorial for these blocks will follow. Linking up for “A Lovely Year of Finishes” (see button on right), as this was my goal for April. 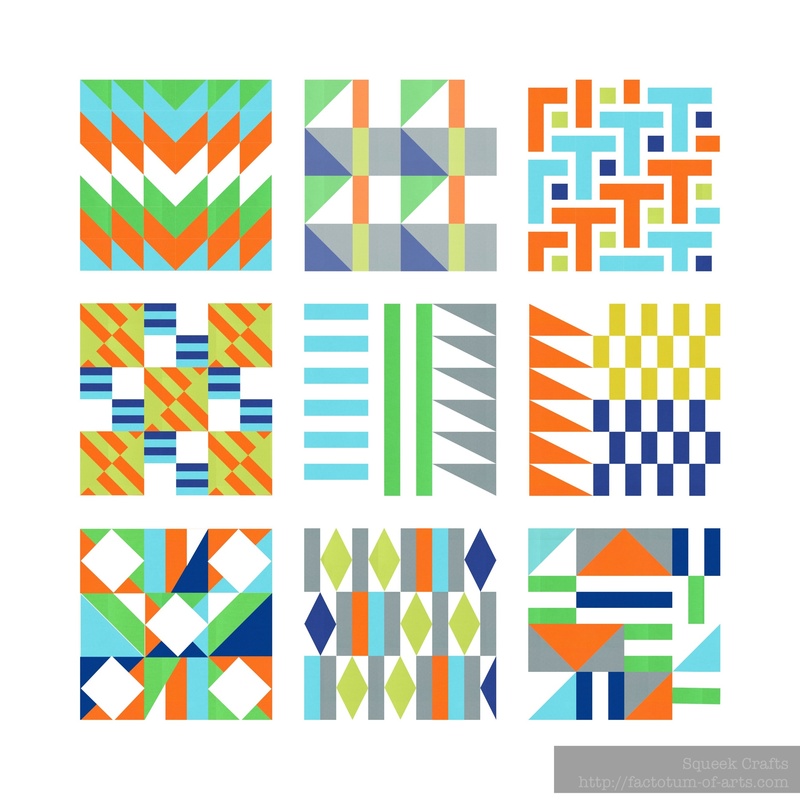 This entry was posted in Uncategorized and tagged a lovely year of finishes, Modern Quilt Blocks, sampler quilt, Spoonflower, Spoonflower class on April 29, 2014 by mlwilkie. Congratulations! Hope it’s a roaring success. How I wish I lived near Spoonflower, but if I did, we’d be a whole lot poorer! How fun! And those blocks look great, very fun fabrics and colors together! Love all these amazing modern blocks! Woohoo. I can’t wait to hear about this class. The quilts are going to be amazing. That’s great and these blocks look awesome. Wow! How I wish i lived in North Carolina and could come and take your class! These blocks are fabulous :o) ps…I stopped by your blog because you linked up with ALYoF! Congratulations on your finish for the month!! Congratulations! Exciting to see those blocks come to life. It would be very dangerous for me to live near Spoonflower– good luck with the class! Congrats! I really like the Tetris-like block. Too bad I live in Boston. Wow! That is incredibly wonderful new, Michelle! Congratulations on the teaching position. Your sampler blocks are awesome! Should be a fun time. Can’t wait to hear all about your experiences! Woot! Awesome! Congrats, should be fantastic! Those finished blocks look fantastic! So vibrant. How awesome, have fun teaching. I’ve always wanted to try quilting, maybe your tutorials are what I should start with. Will be reading with interest. OH HOW EXCITING — I hope to be able to come take this with you, A Sunday trip to Raleigh is definitely something that I can probably manage — and you’d be the first blogger not in my guild that i have met. These blocks are awesome so I will be marking my calendar and sharing with my other modern quilters in the guild. Yeah! I’m in!!! My home needs some quilty decor – I can’t wait to put these blocks into a wall hanging. I love your blocks, Michelle, and I am once again jealous you live so close to Spoonflower : ) Congrats on the teaching gig! Have fun!! I wish I lived closer. – hope the class goes well! So do I – wish I lived close by – I’d be with you right away! These blocks look fascinating – such beautiful colour combos – and as I can’t take part I am looking forward to your tutorials to come. Thank you so much for showing and sharing! Greetings from Germany! Yay! Your day of class is getting close. I hope you’ll be able to post some pictures of what is created in class; participants are going to do amazing things with these blocks. 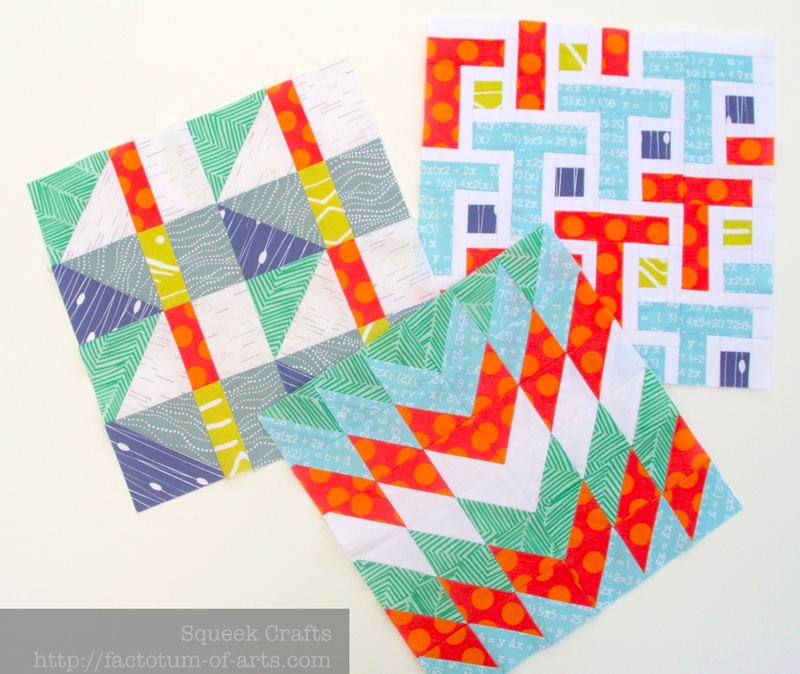 Pingback: Modern Quilt Blocks with Michelle Wilkie | Ants to Sugar – Fabric. Quilting. Some modern. Some traditional. I was drawn to your name as soon as Daisy said anything about you. My maiden name is Wilkie! Any chance the family has Detroit roots? I assume German? Now, you know, I *have to* follow you!